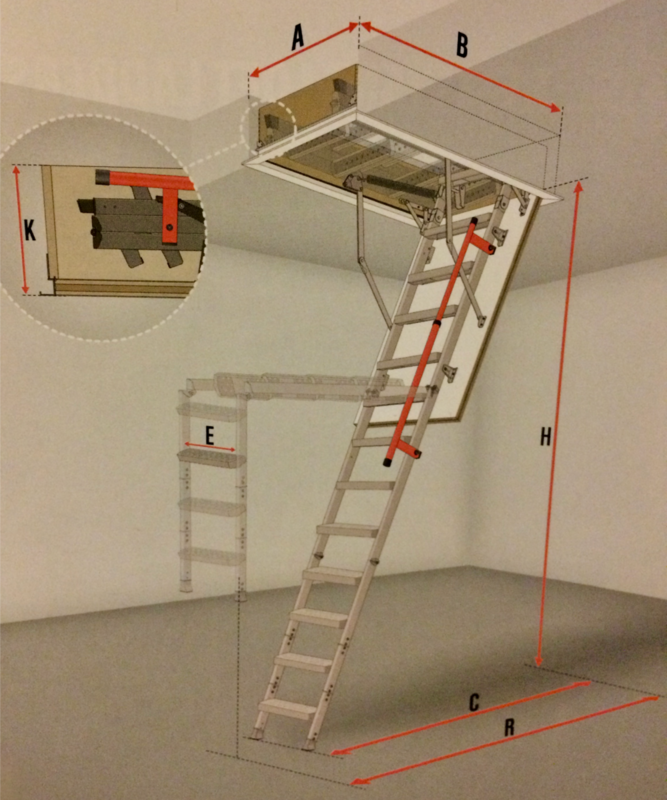 Fakro's premium LMF deluxe metal bi-folding loft ladder is equipped with an additional handrail and special gas-assisted piston for extra safety. Fakro's premium LMF Deluxe Metal Bi-folding Loft Ladder boasts the same features as the LMK but is equipped with an additional handrail in the middle folding section and a special gas-assisted piston. 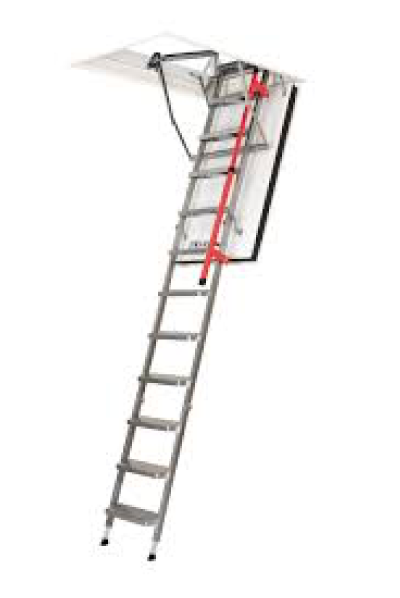 The extra hand rail provides an additional element of safety when climbing the ladder. The gas piston allows the user to control lower the ladder. 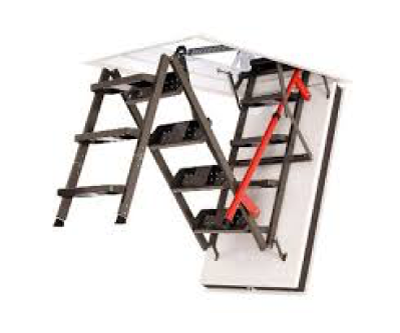 At any point whilst unfolding the ladder from the hatch, if you let go, the ladder will simply freeze mid air.